But right now, it is the safest place in this 11, 279 metres of space above ground and sea. Suspended and gliding through the air. I over heard the lady in the row in front of me marvel at how this whole thing works. “It has a big boost of an engine” her partner said to her. I smiled because I expected such a logical answer from a man. Men have logical brains after all. “No, it still doesn’t make sense how it actually flies” the woman said. I clutched her heart in that moment because she captured what has always been my thought about flying. And why I have never taken it for granted. Science is wonderful with all its formulas and equations that suggest we can plot a direct and clear pathway from the A to the Z of some things. But even with all that precision science cannot really tell us why being human is so hard or the how of the patterns of emotions we map onto each other in elegant and sometimes not so elegant ways. Faith has been a problem for me these last few weeks, not just any faith but the kind that beats strong in the chest and leaves you breathlessly in love with the One who gives it in the first place. I couldn’t find it anywhere. I misplaced it. And I could not stop the quaking and quivering of my heart at the small and big things that meant nothing and everything. But here I am in seat number 86K framed by a window and a woman who looks at me with a kindness that has become rare in the world. All but for the no smoking sign, it is dark in here. The sun has set and the remaining 7 hours of flying will be through the dark. Being here in this moment brings everything into perspective, everything in me collects together and I know that science cannot explain faith or my God. I know that the sheaths that cover my human heart are being removed and where stone once lived, flesh will grow. 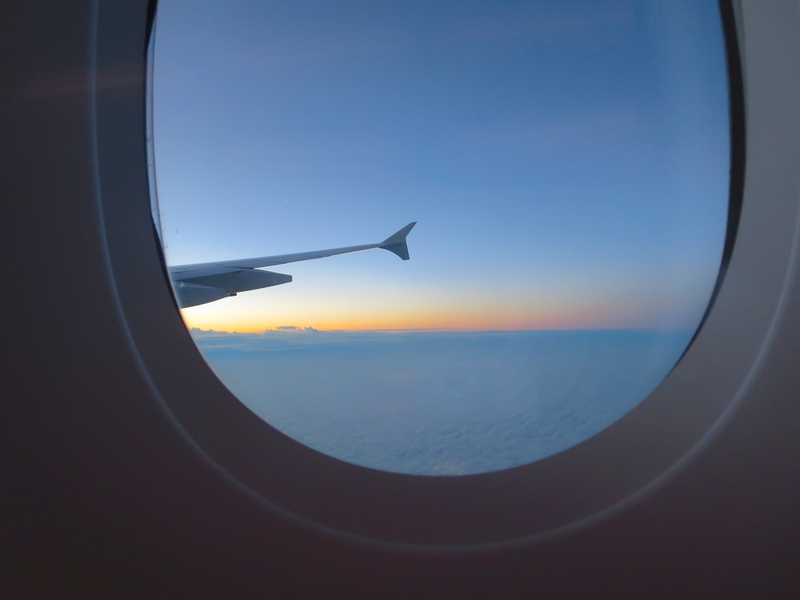 Flying across oceans is simple when we don’t have to think about it or explain the practical steps that send gravity on holiday when you are cruising altitude in a big metal beast. But it is not so simple. I don’t want to understand it, not right now. Faith is the same. Sometimes we don’t understand it and why we need it and we bang our heads against walls in hope for answers to the whys and hows of life. And yet faith is one of the most powerful things in the world. We have it in human inventions and science and it is what makes us walk into planes in single file clutching our passports tightly believing that we will get to our destination. Even more so, through faith God accomplishes things in us we never thought possible. I want to stand on the side of faith.